Environmental defender Margarito Cabal was killed in 2012. However, the 5th hydropower project in the Pulangi River that he fought against, seems to be going ahead in 2018, for a 250 MW dam. In 2018 it was announced that that First Bukidnon Electric Cooperative Inc. (FIBECO) and Pulangi Hydro Power Corp. (PHPC) signed a memorandum of understanding on March 8 2018 to begin construction of the 250-MW Pulangi (also spelled Pulangui) fifth hydropower plant in Bukidnon in Mindanao, according to the Philippines National Electrification Administration (NEA). Six years earlier, on 13 May 2012, the environmental group Kalikasan – People’s Network for the Environment (PNE) condemned the killing of an environmental activist in south Bukidnon, Margarito Cabal, leader of Task Force Save Pulangi, who was campaigning against the construction of a hydroelectric dam in Pulangi River. He, was killed by an unidentified gunman in Barangay Palma Kibawe. The project would submerge 22 villages, including indigenous lands and small farms. Clemente Bautista, national coordinator of Kalikasan-PNE, said Cabal was the 13th environmental activist killed under the Aquino administration. Killings include tribal leader Jimmy Liguyon who was gunned down last March and the Italian priest Fr. Pops Tentorio in October 2011. 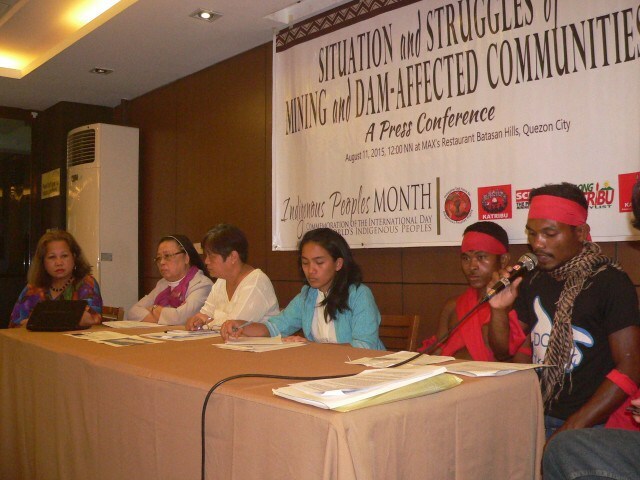 Nine of these 13 cases of killing of environmental activists under Aquino occurred in Mindanao. “Impunity towards ecologists is growing by leaps and bounds in Mindanao, presumably because of the torrent of destructive mining and energy projects in the region. Government policies on protecting foreign investments and engaging in counter-insurgency are overlapping exactly because both are meant to undermine oppositions to these dirty projects,” said Bautista. The military earlier tagged Cabal as a member of the New People’s Army (NPA). “This has been the same modus operandi in the killing of other anti-large dam and environmental activists. Peasant leader Jose Doton and indigenous Dumagat leader Nicanor De los Santos were tagged as communist supporters or NPA members before they were killed. In most of these cases of killings, military forces and agents were the suspected perpetrators,” Bautista said. Doton and De los Santos were shot dead in 2006 and 2001, respectively. “The increasing number of harassments and killings of environmental activists is a result of intensifying militarization under the anti-insurgency Oplan Bayanihan of the Aquino administration. It is implemented particularly in areas where there is a huge corporate investment to exploit our natural resources, at the same time strongly opposed by advocates and communities,” the group said.(1). 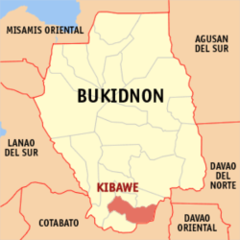 A report from Human Rights Watch (2) stated: "At approximately 6:30 p.m. on May 9, 2012, Margarito J. Cabal, 47, was shot dead by two men riding a motorcycle near his boarding house in Kibawe town, Bukidnon province... Cabal was an organizer for Save Pulangi Alliance, which opposes the construction of a hydroelectric dam in the area, and a government employee for the mayor’s office. He is survived by his wife and three children. Cabal’s son, Marjolie, told Human Rights Watch that prior to his father’s killing, the military’s 8th Infantry Battalion in nearby Maramag town had summoned Cabal on suspicion that he was working for the New People’s Army (NPA). “His job with the town mayor required that he would often go to hinterland villages. 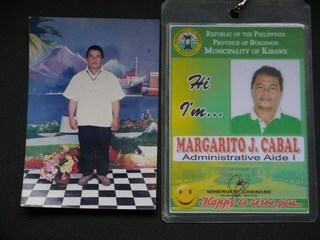 That might have given them the idea that he was an NPA,” Marjolie said. He said his father had told him he was under surveillance by the military. The general secretary of the Save Pulangi Movement, a tribal leader named Datu Petronilo Cabungcal, said that the area has been the subject of military operations and that the military suspects his group is supporting the NPA. “We are just fighting for our land, our livelihood, that is threatened by this project. Why would that make us communists?” he said. Cabal’s widow, Rosalie, told Human Rights Watch that the police never approached the family about any investigation and that, aside from a police report on the killing, there has not been any effort to investigate her husband’s death. “They never bothered to talk to us,” she said, adding that she did not know what would happen to the case." In the Philippines, where both under presidents Aquino and Duterte there has been such as terrible toll of environmental defenders killed (cf. Global Witness), there are continuous movements against mining and hydropower projects. Sometimes they use the slogan "Damn the Dams". (3). Project Details The Pulangi River, also spelled Pulangui, is the longest river in Bukidnon. It is one of the major tributaries of the Rio Grande de Mindanao, an extensive river system in Mindanao, Philippines. It has a length of 320 kilometers and traverses through majority of the cities and municipalities of Bukidnon from its source in Barangay Kalabugao, Impasugong, Bukidnon. Pulangi is also the site of the proposed Pulangi V Hydroelectric Dam. The project is expected to generate about 300 megawatts of renewable energy for Mindanao. The dam implies flooding 3,300 hectares mostly highly sloping lands along the riverbank in 22 barangays in Kitaotao, Kibawe, Dangcagan and Damulog in Bukidnon and Roxas town in North Cotabato. Of the total dam area, 40% is the present river itself and the inundated areas are stiff slopes along the river bank. An estimated of 1,060 households will be affected. Opposition to the project have claimed that the project would submerge the burial site of Apo Mamalu, a revered ancestor of the Manobo indigenous people in Mindanao. 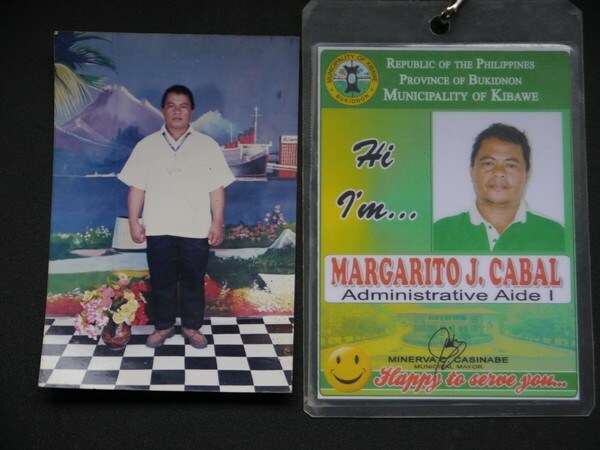 Anti-large dam activist Margarito Cabal, was killed by an unidentified gunman in 2012. Cabal was an active leader of Task Force Save Pulangi (TFSP) campaigning against the construction of a hydroelectric dam in Pulangi River which threatens the integrity of the ecosystem and the displacement of the peasant and indigenous community along the said river. in March 2017 (4) it was reported that Chinese finance would become available for the Pulangi V hydropower project. "Chinese companies are now in talks with the government and potential local private sector partners for the development of two additional hydroelectric power plants at the Agus and Pulangi complexes in Mindanao that could produce about 550 megawatts (MW) of new supply. Mindanao Development Authority (MinDA) Deputy Executive Director Romeo M. Montenegro said these two proposed plants -- the Agus 3 project in Lanao del Sur that could produce about 250 MW and the Pulangi 5 project in Bukidnon with a 300-MW output -- are expected to help balance the Mindanao energy mix between renewable and fossil fuel by 2030. Mr. Montenegro said Pulangi 5 was among the projects agreed upon when President Rodrigo R. Duterte visited China last year ..."
Environmental justice organisations and other supporters Kalikasan – People’s Network for the Environment (PNE). Why? Explain briefly. There was no reddress for the killing of Margarito Cabal in 2012 (and also of so many other environmental defenders in the Philippines), and the project seems to be going ahead in 2018 with Chinese finance for a 250 MW dam.